This Valentine’s Day, Maurice Lacroix is proud to introduce a limited edition of its bestselling Eliros Date Ladies. 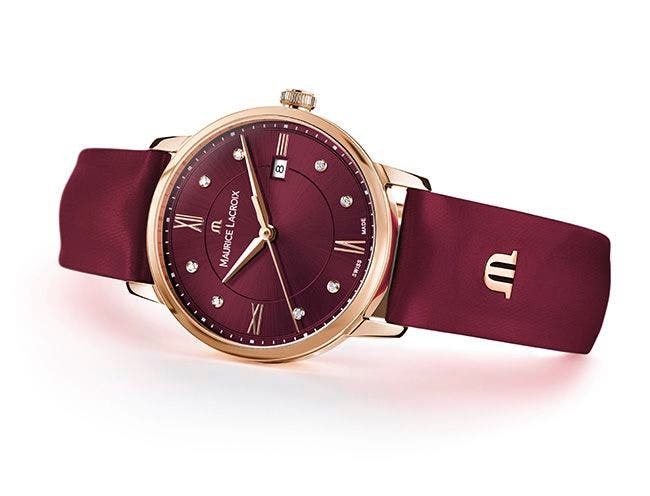 A celebration of love and sensuality, this model blends feminine shapes combined with warm burgundy and rose gold colors, allowing for a rare sense of elegance and refinement. The Eliros Date Ladies “Valentine’s Day” edition also sports three engraved red hearts and a special message: “Forever Love” on the back of the case. Only 388 pieces of this limited edition will be available.